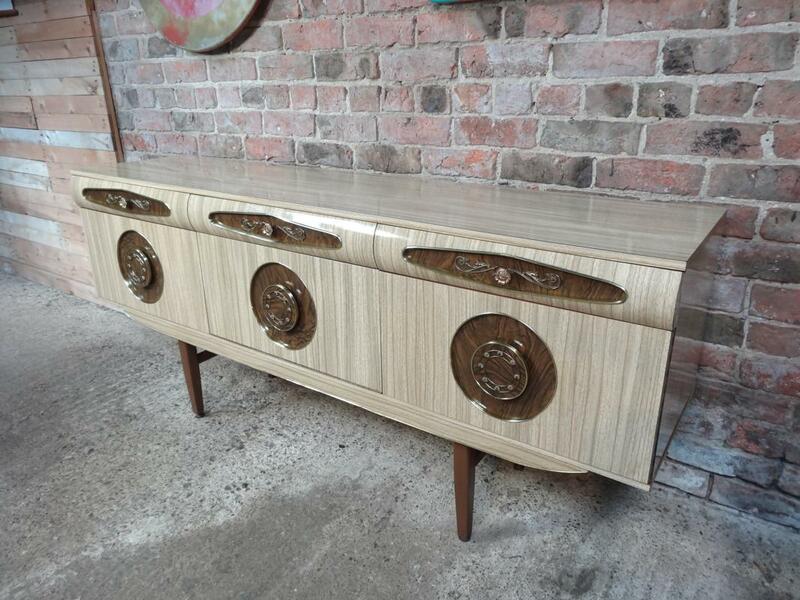 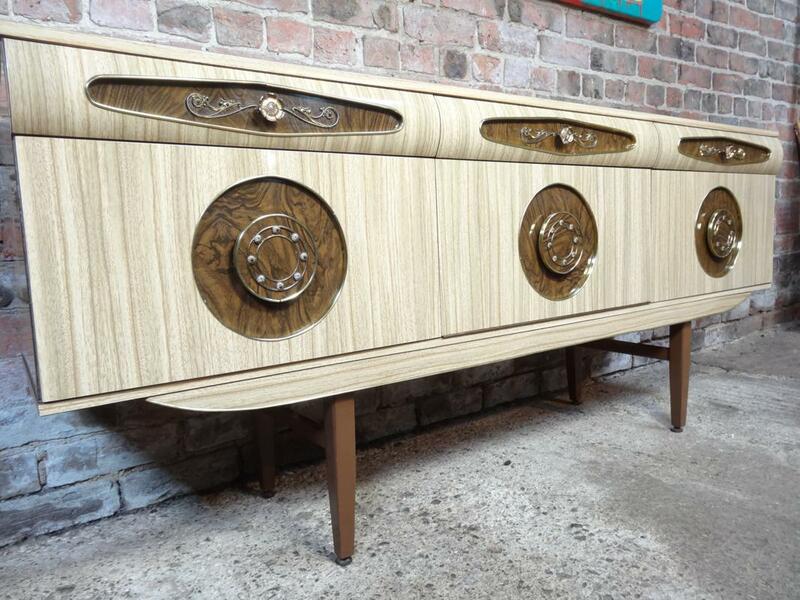 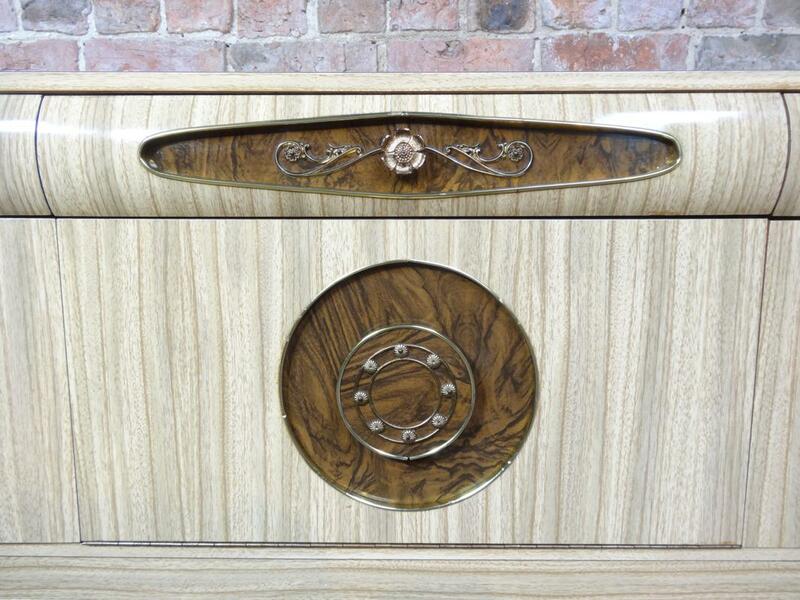 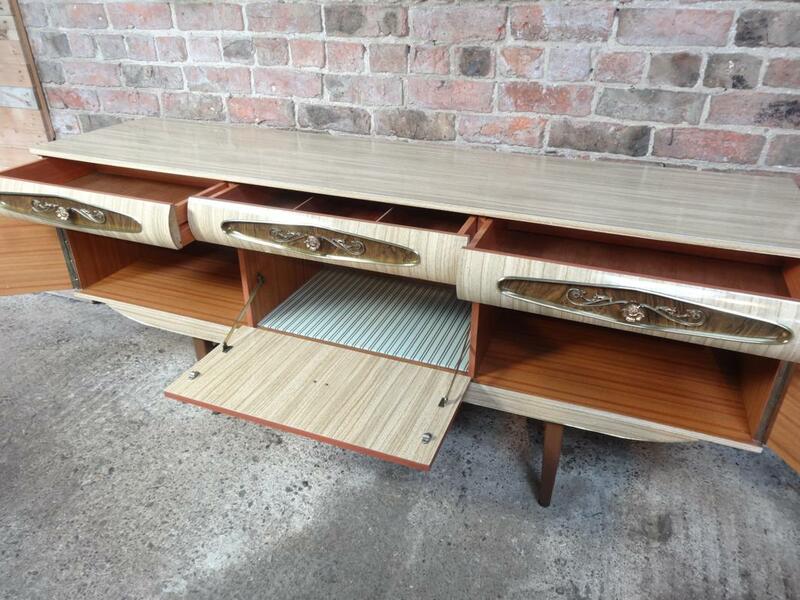 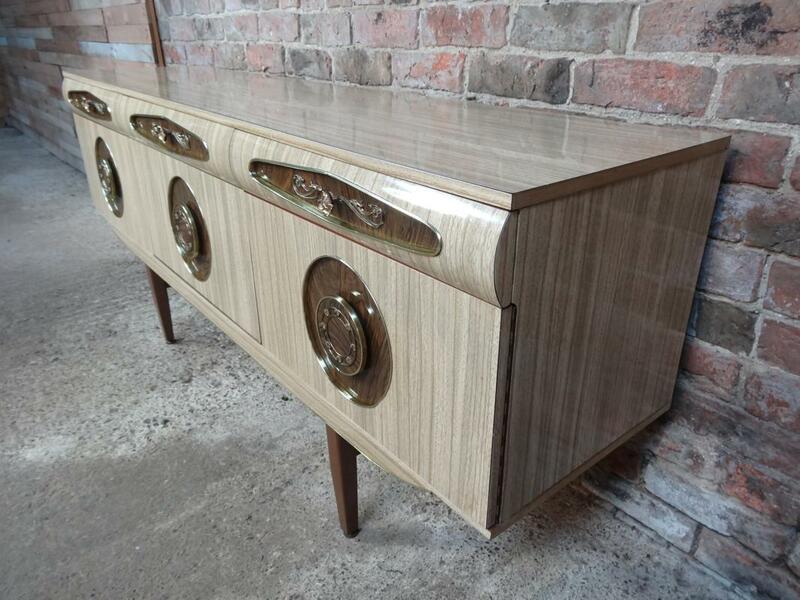 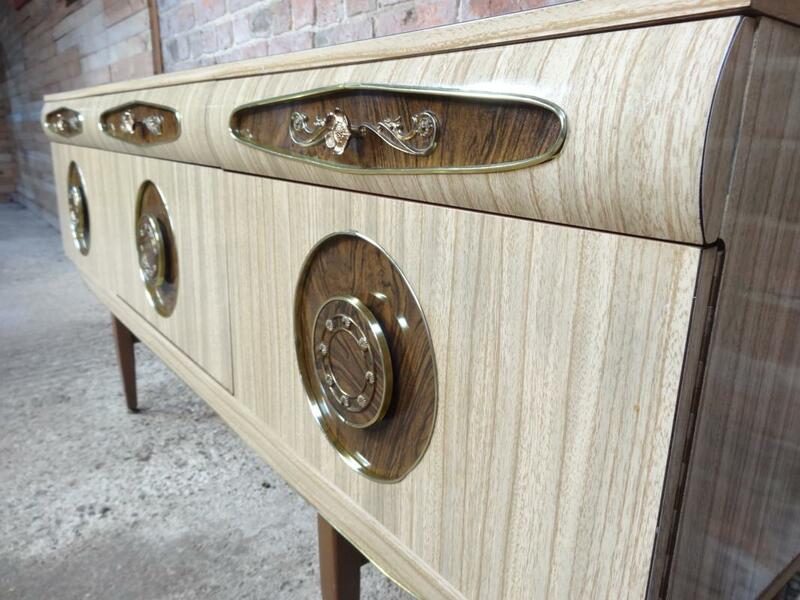 Sought after vintage retro Italian melamine sideboard with brass handles its from early 1950s. 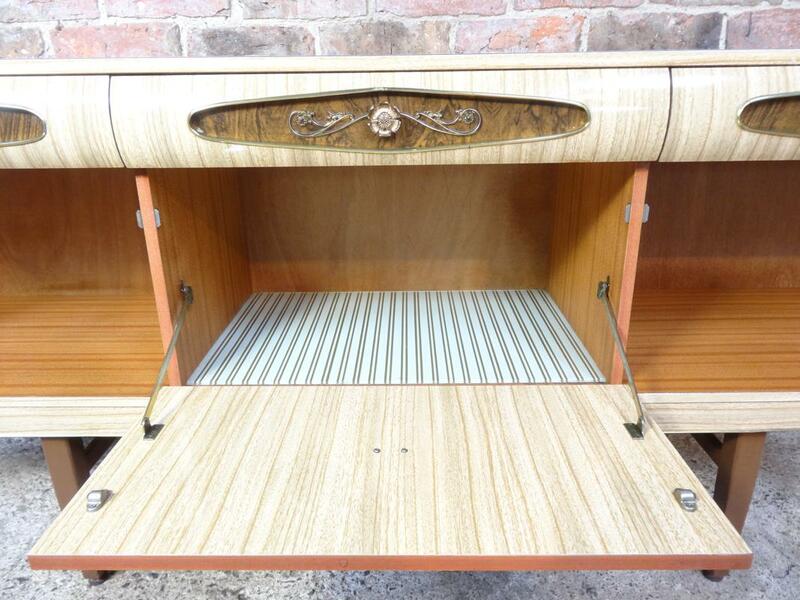 It has three drawers, cupboard space with lovely brass handles. 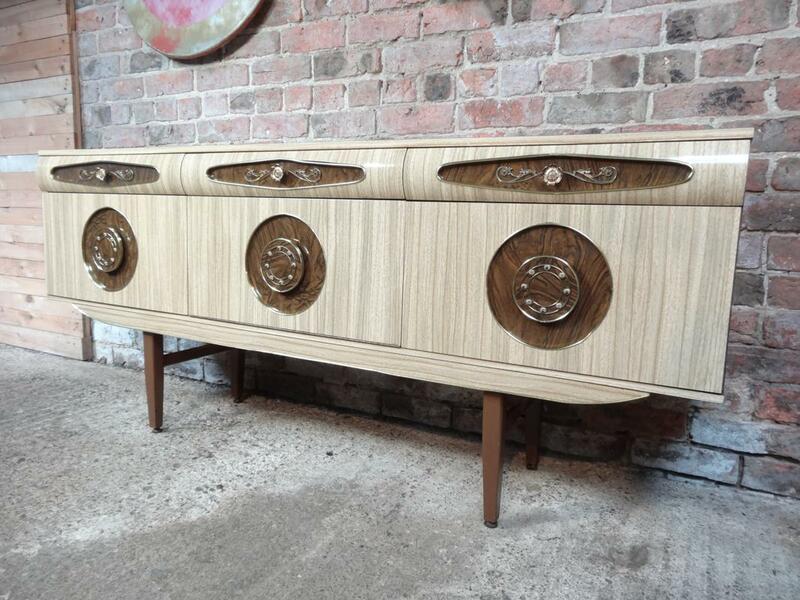 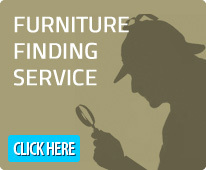 Credenza is in very good original condition.